One of Hubby’s cousin lives in Discover Bay (‘DB’), his family recently moved to Hong Kong so we thought we would go and visit. 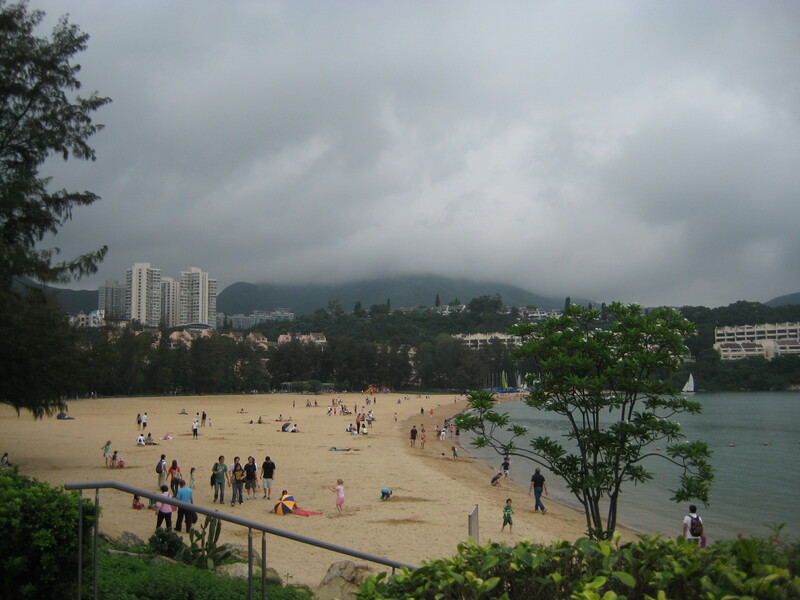 For those who don’t know where DB is, it’s situated on the north-eastern coast of Lantau Island in the New Territories. The only way I know to get there is by ferry, and no private cars or taxis are permitted to enter the area. I’m not very good with boats / ferries. We caught the ferry to DB from Central and although it’s only 20 minutes, it was the longest 20 minutes of my whole entire life! It was my first time in DB, and I have to say, what a contrast it was to Hong Kong or Kowloon Island! DB had its own community, it seemed like everyone knew each other. Our cousin lives near the beach, and as much as it’s a great location it is definitely not for me! We got the lunch special, beef pho and crab and pork spring rolls. 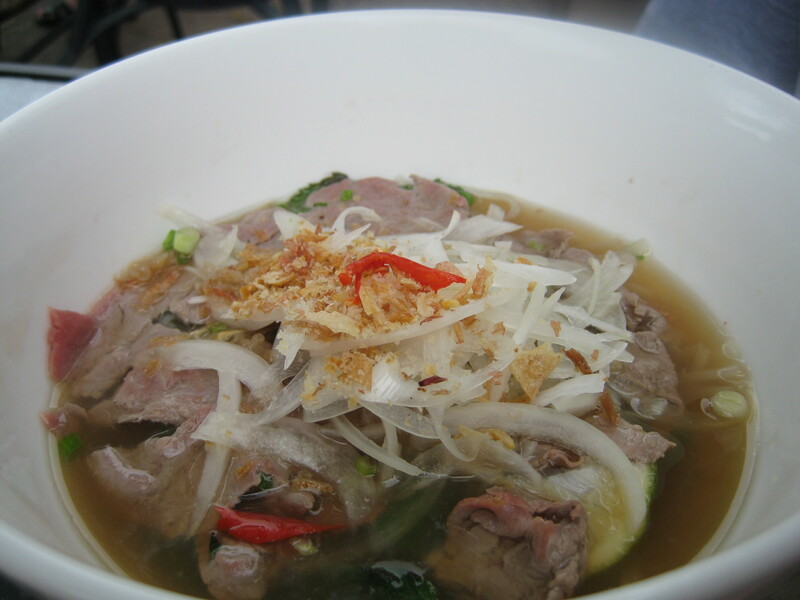 The beef pho was seriously ordinary. There were more onions in the soup than anything else. The beef was tender, but that was the only thing that was good about it. The soup was tasteless and it was just disappointing. 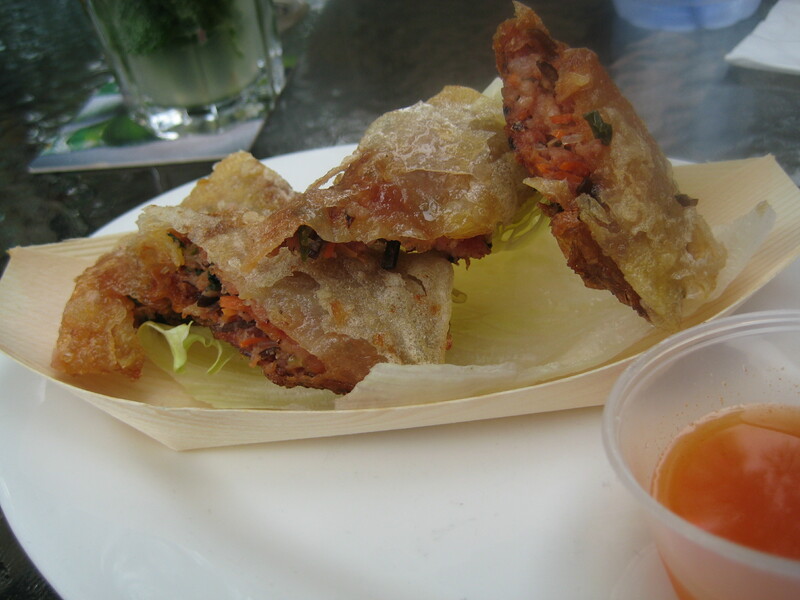 The crab and pork spring rolls were also below par, it was fried to a crisp! It was seriously crispy and I could not taste any crab or pork. We ordered the bbq pork sandwich, which was surprisingly better than both the pho and spring rolls. The bread was fresh, and the bbq pork was sweet, and the salads were a great compliment. I thought this was going to be similar to that of a pork roll, alas no. A pork roll would definitely have been better. 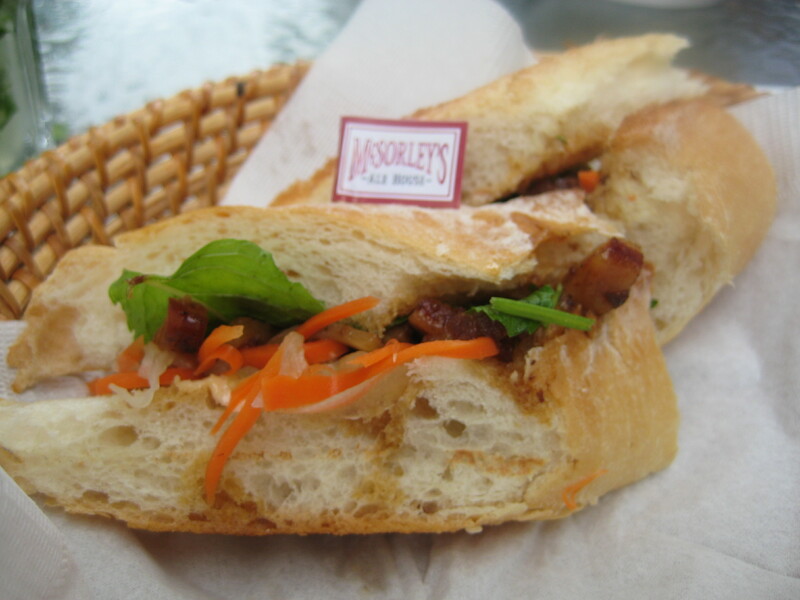 A friend, J, asked ‘isn’t it weird to order Viet food at McSorleys? I mean do they even have Viet food?’ It wasn’t just ‘weird’ it was wrong! It was one of the most disappointing lunches I have ever had. I probably should have stuck with a burger – I mean, McSorleys are known for their burger and not for the Viet food right? The highlight of the day would have been catching up with our cousins and their cute twin sons and daughter! Identical twin boys – they were absolutely gorgeous! We had a drink by the bay overlooking the beach, catching up and I got my kids fix for the month. The good thing about playing with other people’s kids is that you can give them back at the end of the day! Pity the weather wasn’t that great – but the wine / beer made up for the horrible lunch!